Inpatient surgery is any surgery where the patient needs to remain overnight or longer after the surgery is completed, for care or observation. 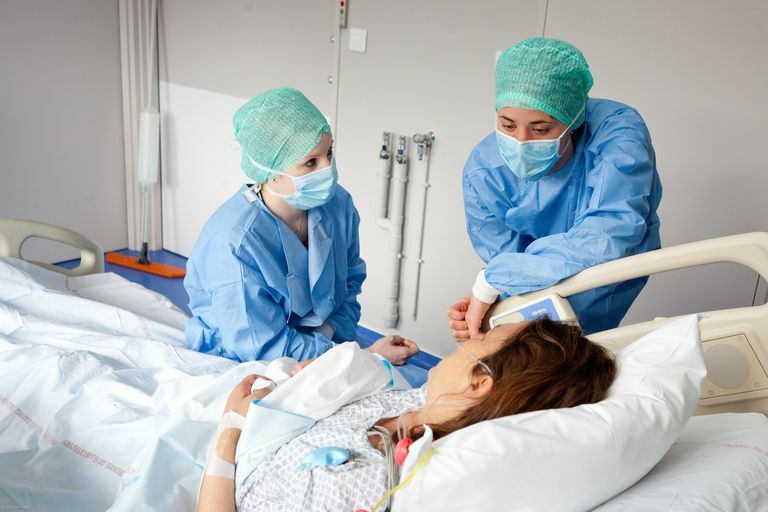 If you are having a serious procedure, or a procedure that requires a lengthy recovery, you are more likely to have an inpatient procedure and at least one overnight stay in the hospital. Recent changes in insurance coverage and the cost of surgery has resulted in more procedures becoming outpatient procedures, meaning the patient goes home the same day as surgery and does not have an overnight recovery in the hospital. In general, surgeries with larger incisions are more likely to require an overnight stay or even an extended stay in the hospital. This would include procedures like open heart surgery, brain surgery, major abdominal surgery, joint replacements, and lung procedures. Minimally invasive procedures and procedures that have short recovery periods, such as carpal tunnel release and short cosmetic surgeries would be more likely to be outpatient procedures. If you are a risky surgical candidate, meaning you have physical problems in addition to the one you need surgery for (diabetes, COPD), have difficulty breathing, or the surgery is expected to be a long one, you are likely to stay in the hospital for at least one night. If you are having a commonly performed surgery that is serious but is typically not a risky one, such as a hysterectomy or appendectomy, you may be able to go home after one or two nights in the hospital. For patients, recovering at home is a mixed blessing. The costs of outpatient surgery are significantly less than the costs of recovering in the hospital, and most people prefer their home to a hospital, but the support of the hospital staff is not available. Also, if there is a complication after surgery it may take longer to receive additional care for the problem. Diagnosis may be delayed, especially if the patient does not immediately recognize the issue and immediately return to the hospital for further treatment. If the patient is having difficulty waking from anesthesia or has another complication such as difficulty breathing, blood pressure issues, blood glucose problems or another issue, a procedure planned as an outpatient surgery may result in an overnight stay in the hospital. The opposite, an inpatient surgery becoming an outpatient procedure, rarely happens. A surgery that is serious to warrant an overnight stay won't become an outpatient procedure if the patient wakes quickly and experiences minimal side effects from surgery. The risks of not being monitored overnight remain and the patient will stay so that they can be monitored for any issues.